Hahaha… this should be a really easy (and yet really sad) post because I’m constantly adding books to my TBR mountain without reading them. Swordspoint (The World of Riverside #1) by Ellen Kushner – This was one of the first books I downloaded onto my original Kobo, and yet it still sits there, occasionally looked at but never read. Synopsis: On the treacherous streets of Riverside, a man lives and dies by the sword. Even the nobles on the Hill turn to duels to settle their disputes. Within this elite, dangerous world, Richard St. Vier is the undisputed master, as skilled as he is ruthless–until a death by the sword is met with outrage instead of awe, and the city discovers that the line between hero and villain can be altered in the blink of an eye. 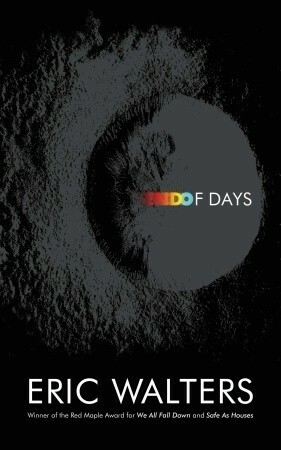 End of Days by Eric Walters – I have a signed copy of this from a visit that Eric made to my store, and yet I still haven’t taken the time to read it yet. I’ve actually read a different book by this author that I got more than a year afterwards while still leaving this one on the shelf. Synopsis: It’s 2012 and the world’s most renowned astrophysicists, astronomers, and theoretical mathematicians have all died within the same 12-month period. But as these scientists discover, none of them are really dead after all. They have been taken hostage by alien forces. And while their family and friends are mourning their passing, and with the help of a 16-year-old with rare gifts, they face the ultimate struggle of prevailing over evil and returning themselves–and the earth–to safety. 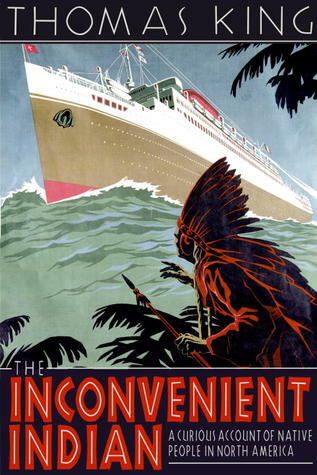 The Inconvenient Indian: A Curious Account of Native People in North America by Thomas King – I started this book the day I bought it, got immediately distracted by other things and forgot to keep reading. 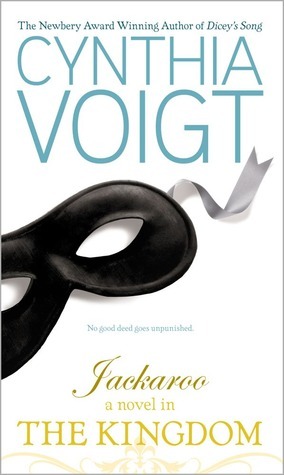 I really need to try reading it again because the first couple of chapters were quite good. Synopsis: Rich with dark and light, pain and magic, this book distills the insights gleaned from that meditation, weaving the curiously circular tale of the relationship between non-Natives and Natives in the centuries since the two first encountered each other. In the process, King refashions old stories about historical events and figures, takes a sideways look at film and pop culture, relates his own complex experiences with activism, and articulates a deep and revolutionary understanding of the cumulative effects of ever-shifting laws and treaties on Native peoples and lands. 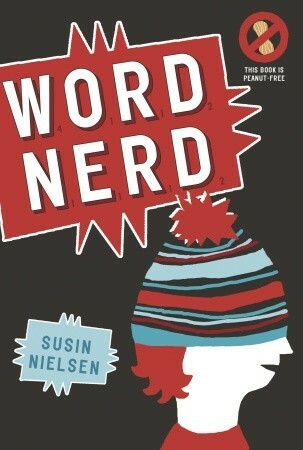 Word Nerd by Susin Nielsen – I absolutely loved The Reluctant Journal of Henry K. Larsen but I’ve somehow never read another one of Nielsen’s books. I’ve wanted to read this one for ages, but I keep forgetting about it until I start going through my Kobo looking for things to read. Synopsis: Twelve-year-old Ambrose has moved from place to place every couple of years with his overprotective mother, Irene. When some bullies at his new school almost kill him by slipping a peanut into his sandwich — even though they know he has a deathly allergy — Irene decides that Ambrose will be home-schooled. Alone in the evenings when Irene goes to work, Ambrose develops an unlikely friendship with Cosmo, the twenty-five-year-old son of the Greek landlords who live upstairs. Through a shared love of Scrabble and a trip to the West Side Scrabble Club, the pair set out to find their place in the world, but they forgot one thing… Irene. 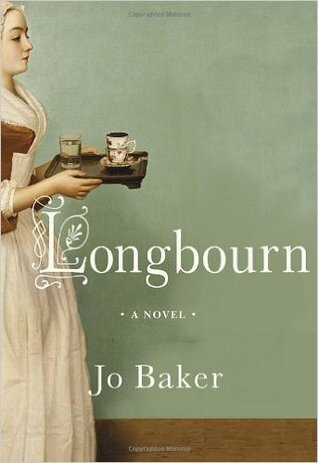 Longbourn by Jo Baker – I have a signed ARC of this book thanks to an event at Random Penguin House (lols), and I LOVE Pride & Prejudice but somehow never got around to reading this. I think I’m afraid that I’m not going to like it and it will ruin P&P for me. Synopsis: In this irresistibly imagined belowstairs answer to Pride and Prejudice, the servants take center stage. Sarah, the orphaned housemaid, spends her days scrubbing the laundry, polishing the floors, and emptying the chamber pots for the Bennet household. But there is just as much romance, heartbreak, and intrigue downstairs at Longbourn as there is upstairs. When a mysterious new footman arrives, the orderly realm of the servants’ hall threatens to be completely, perhaps irrevocably, upended. 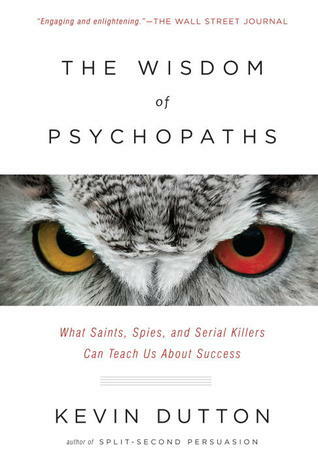 The Wisdom of Psychopaths by Kevin Dutton – I asked for this book for Christmas a few years ago and still haven’t had a chance to read it. I don’t read a lot of non-fiction, but when I do it’s usually about mental health, science or First Nations communities. Synopsis: The Wisdom of Psychopaths is an intellectual rollercoaster ride that combines lightning-hot science with unprecedented access to secret monasteries, Special Forces training camps, and high-security hospitals. In it, you will meet serial killers, war heroes, financiers, movie stars and attorneys–and discover that beneath the hype and popular characterization, psychopaths have something to teach us. 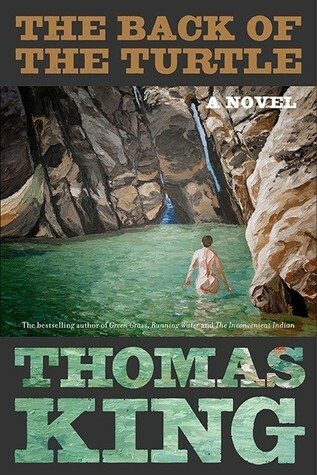 The Back of the Turtle by Thomas King – I got an ARC of this from Random Penguin House and I was sure I was going to read it right away… and then other books came along and wooed me. As mentioned above, I love to read about First Nations issues, but for some reason I can’t seem to read fiction about it. Synopsis: In The Back of the Turtle, Gabriel returns to Smoke River, the reserve where his mother grew up and to which she returned with Gabriel’s sister. The reserve is deserted after an environmental disaster killed the population, including Gabriel’s family, and the wildlife. Gabriel, a brilliant scientist working for DowSanto, created GreenSweep, and indirectly led to the crisis. Now he has come to see the damage and to kill himself in the sea. But as he prepares to let the water take him, he sees a young girl in the waves. Plunging in, he saves her, and soon is saving others. Who are these people with their long black hair and almond eyes who have fallen from the sky? 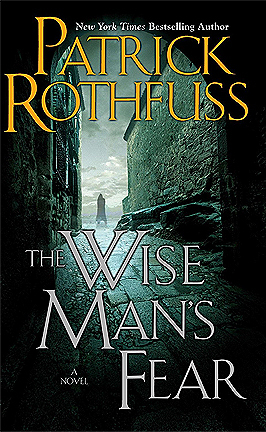 The Wise Man’s Fear (The Kingkiller Chronicle, #2) by Patrick Rothfuss – I read The Name of the Wind on my holidays a few years ago and was certain that I would continue with this one right away. But I didn’t have access to the internet to download it right away and even though I got it when I came home I was already distracted by other books. Maybe whenever Rothfuss finally publishes the third book I’ll go back to the series. Synopsis: An escalating rivalry with a powerful member of the nobility forces Kvothe to leave the University and seek his fortune abroad. Adrift, penniless, and alone, he travels to Vintas, where he quickly becomes entangled in the politics of courtly society. While attempting to curry favor with a powerful noble, Kvothe uncovers an assassination attempt, comes into conflict with a rival arcanist, and leads a group of mercenaries into the wild, in an attempt to solve the mystery of who (or what) is waylaying travelers on the King’s Road. Jackaroo (Tales of the Kingdom, #1) by Cynthia Voigt – Many of this author’s books are favourites from when I was a kid, but I didn’t even know about this series until a few years ago. I purposely ordered them to my store just so I could own them… and have left them sitting on a shelf unread since. Synopsis: There is much want in the kingdom and the tales of Jackaroo, the masked outlaw who helps the poor in times of trouble, are on everyone’s lips. Gwyn, the innkeeper’s lively daughter, pays little attention to the tales. But when she is stranded during a snowstorm in a cabin with the lordling Gaderian, and finds a strange garment that resembles the costume Jackaroo is said to wear, she begins to wonder…. 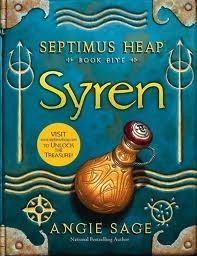 Syren (Septimus Heap, #5) by Angie Sage – I started reading this series so many years ago because I was looking for something to suggest to people who had finished Harry Potter and needed more magic. While this series is similar, it’s a bit more confusing and doesn’t have as direct a storyline as the HP books. I started getting confused when time travel started to get involved and I never returned to the series to see what would happen next. Synopsis: In this fifth book in the Magykal series, Septimus ends up on a captivatingly beautiful island, one of seven set in a sparkling sea. He’s stranded there with his badly injured dragon, Spit Fyre, along with Jenna and Beetle. There are some strange things about the island, including a Magykal girl named Syrah, a cat-shaped lighthouse that has lost its Light, and an eerie presence that sings to Septimus—can he escape the persistent call? Trouble is also brewing for Lucy and Wolf Boy, who have become entangled with some nefarious sailors at sea, and for Milo Banda, Jenna’s father, who is harboring a mysterious treasure chest in his ship’s hold. 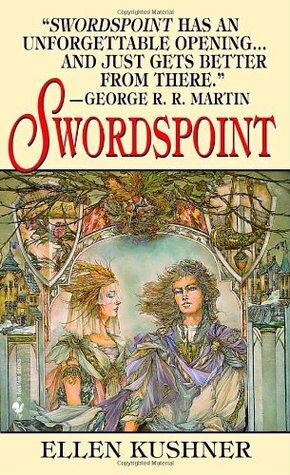 I have a copy of Swordpoint sitting in my cupboard waiting to be read. It’s quite a bulky paperback but I do mean to read it eventually.